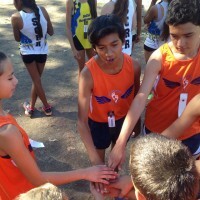 GrassRoots Athletics track and field cross country running club is to become the best program for fostering personal competitive excellence through physical, mental and nutritional preparation for sport and life. Our Mission is to provide a positive and progressive environment to cultivate individuals to become a successful cerebral athlete contributing to the community. 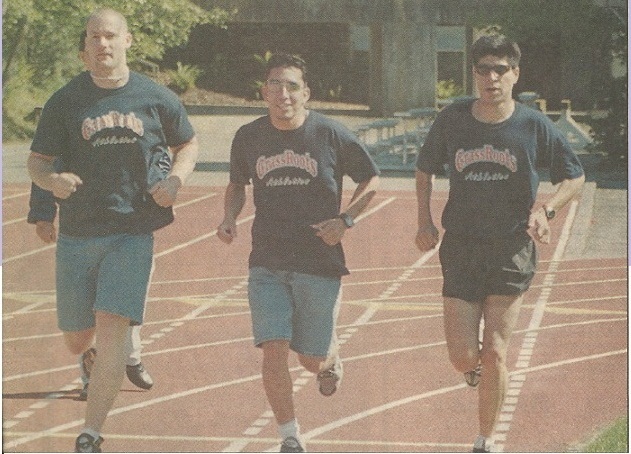 Motivated by the desire to make a difference in a small town in northern California, GrassRoots Athletics was born in 1998 as a Post Collegiate competitive club in Arcata, California and part of the USATF Pacific Association. 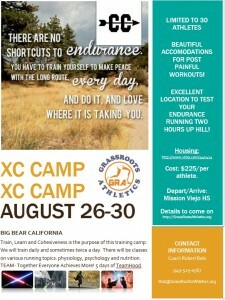 USA Track & Field’s most successful initiatives aimed at educating youth, parents, educators, and coaches about the positive results that come from leading a physically active, drug-free lifestyle while living with integrity. Today, GrassRoots Athletics is reborn with the same vision serving Southern California to foster sustained competitive excellence, interest, and participation in the sports of Cross Country, Track & Field and Road Racing for all skill level. With a philosophy of personal athletic accountability and responsibility our aim is to develop positive habits to maximize abilities as a citizen, student and athlete. As a USA Track and Field Registered club in the Southern California Association (#33-0526) we invite athletes of all levels and sports to come out and join us to become a smarter, better and confident student athlete. GrassRoots Athletics encourages it’s coaches to attain higher learning as athletic science, training and modalities are always changing and evolving. Attending USATF certified Level I and II classes is supported as well as Level III and IAAF Level V Academies to “sharpen” the coaching skills with current training methodologies and to foster new ideas. Coaches must participate in a the USATF Coaches Registry which sets the standards for coaches affiliated with USA Track and Field. The registry are for coaches who have demonstrated the ethics, honesty and trustworthiness necessary for endorsement by the national governing body of the sport. 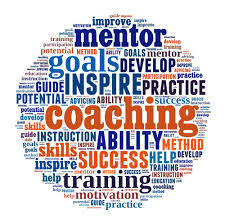 A Registered Coach provides a designation to coaches around the country that will flag them as among the most ethical and respected in their field and will carry with it certain rights and privileges not available to those who are not Registered Coaches. The centerpiece of this program is a comprehensive Code of Conduct for Registered Coaches.